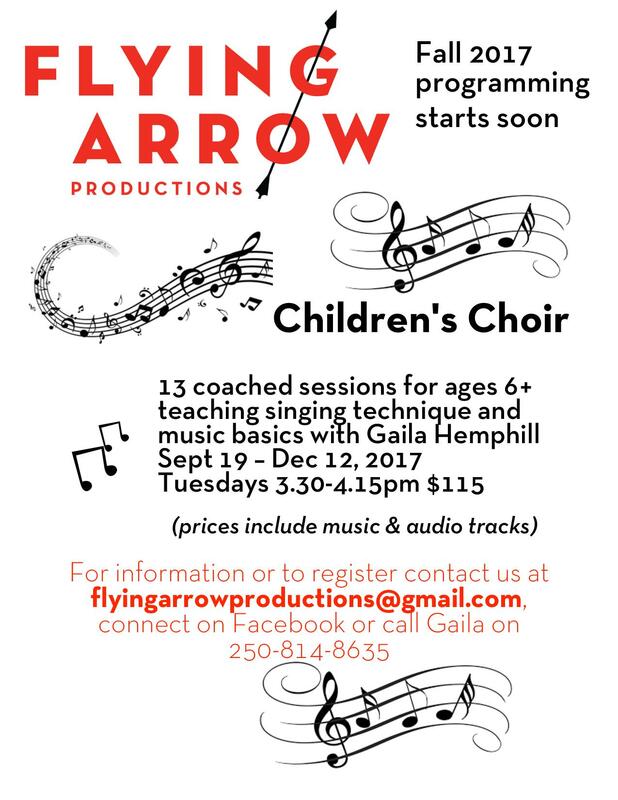 Our Children's Choir with Musical Director Gaila Hemphill starts today, 19th September, 2017. There is still time to enrol your child, 6 years and older. Registration is underway for our after school drama classes. There are 2 different age groups for classes. Please visit the After School Drama Classes link for more information or to register your child. 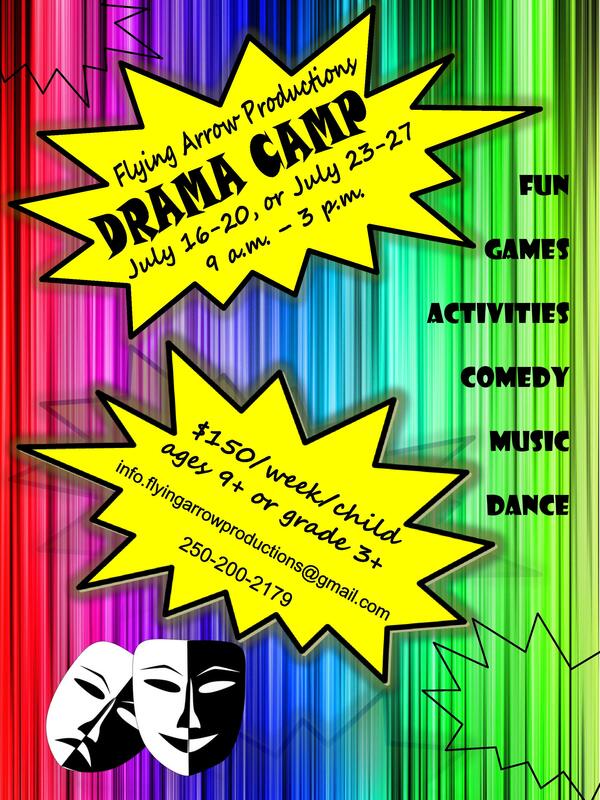 ​Click here for the Drama Classes Page. The first information session for the Community Theatre Project happened on October 5th. 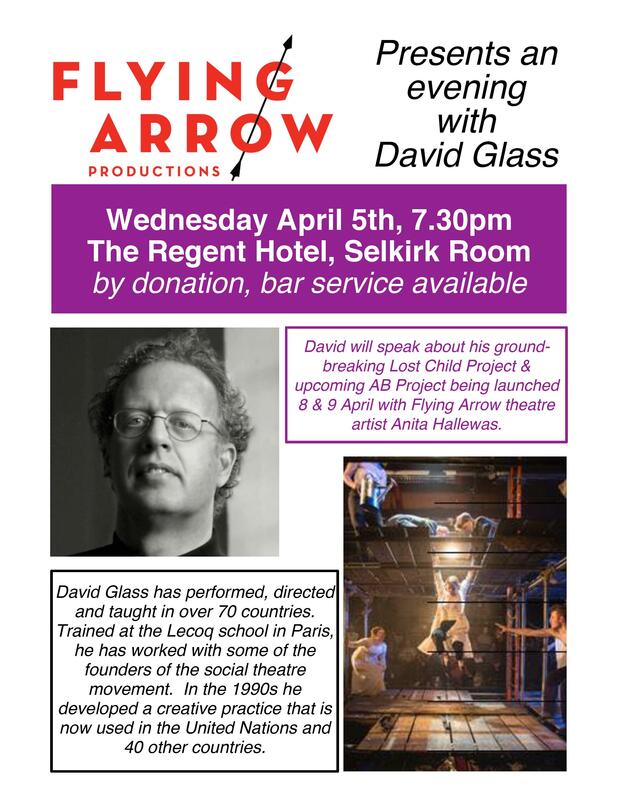 You can read the write up in the Revelstoke Current from that meeting at the following link - http://www.revelstokecurrent.com/2016/10/07/if-theatre-could-change-the-world/ If you would like to get involved - it is not too late. Please send us an e-mail or give Anita a call for more information. 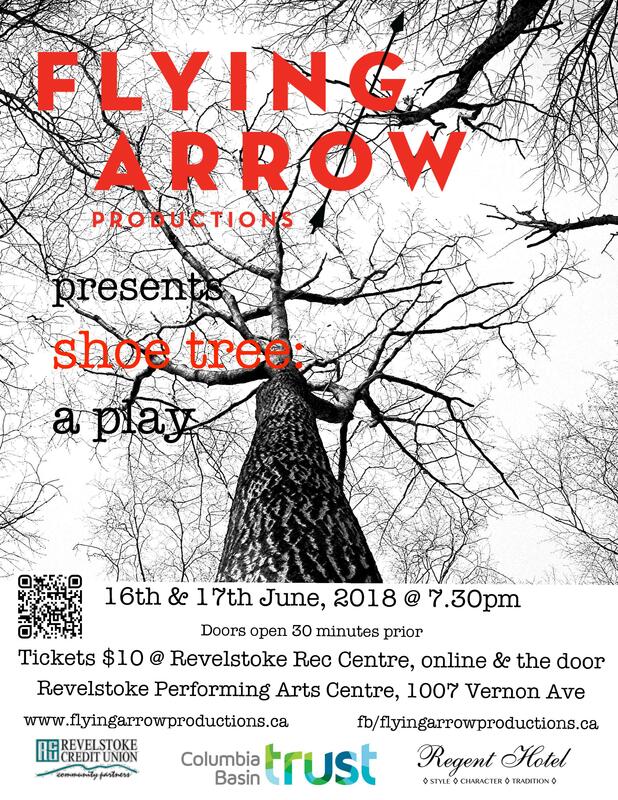 At the AGM this week, we will be unveiling a couple of other exciting Theatre Projects that are scheduled for this year with Flying Arrow Productions. We can't wait to share all the details with everyone! It is going to be an exciting year for theatre!